WordShuffle by GameDesire - Invite your friends and play free online word game! 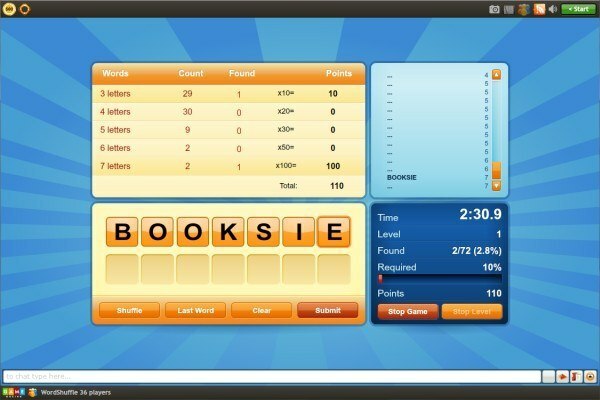 In WordShuffle a player's task is to compose as many correct words as possible out of 7 random letters. 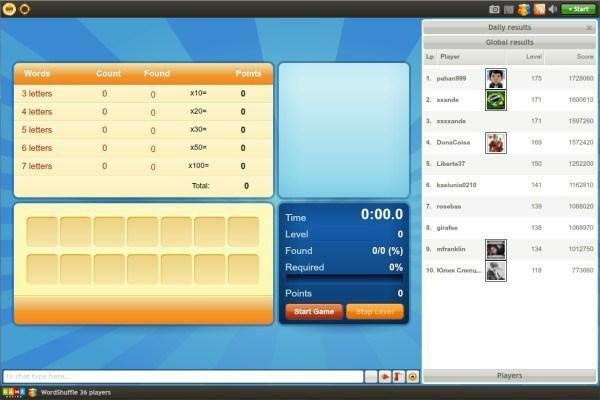 Enjoy online single player game for free! Click "Start Game." to begin a new game. If the word is found in the dictionary, it will be accepted and the word will clear from the board. If the word is NOT found in the dictionary, it will not be accepted and the letters will remain on the board. Press the shuffle button at any time to switch the order of the letters to get inspiration.